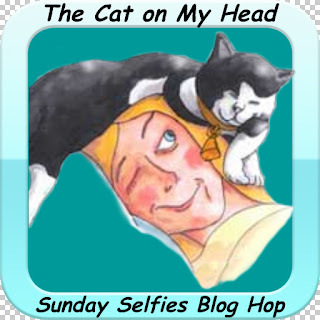 Yes it's Sunday so that means its Selfie time so I am joining The Cat on My Head in their Sunday Selfie Blog Hop! Its Snack time on another Beach......The sun was shining but it was cold,but I had so much fun! Nice selfies and beach views, Speedy! You enjoy yourself little one. Anytime is beach time in my book, even in winter! Hope you have a wonderful day, Speedy. Looking good Sir Speedy! Hey, I posted photos with my new bed on Thursday! Speedy the ... beachboy, or beachbunny ! What a lovely place to take some terrific selfies! That's a nice beach and you look fab as always! What luvley sunny Selfiess Speedy!!! Wee not seen thee Sun fur dayss...an our beech iss covered with snow....BRR!!! Pee S: Aunty Rachel can you linky mee uppy pleeze??? Fankss! Happy Sunday, Speedy - stay warm on that beautiful beach! Looks like you had lovely weather for your trip to the beach, Speedy. We love your adventure pictures, Speedy. Love your selfies Speedy. Send some of that sun my way please. Those sunbeams look like they feel great! OMB Speedy.... you SNACK SACK has CARROTS on it... THAT is Super. Glad that you had a Beach Snack outting. You're so adventurous to be out braving the cold. Awesome selfies, S. So colorful! Oh Speedy, those are some FABulous selfies dude! I loves it when it is sunny and cold...I hopes to see the sun someday soon...sigh. Looks like you didn't have to share that beach with very many humans or bunnies! I'd say that's a very good day indeed. Speedy, the water looks beautiful, but we are certain it is super cold. We always like seeing you in that blue coat. It looks so lovely with your furs. Thanks for being a faithful hopper. XOCK, Lily Olivia, Mauricio, Misty May, Giulietta, Angel Fiona, Astrid, Lisbeth, Calista Jo and Cooper Murphy. How fun that you got to go to the beach, Speedy. Speedy darling! Yous looks so lovely and warm in your jacket! Mes can't wait for your visit.